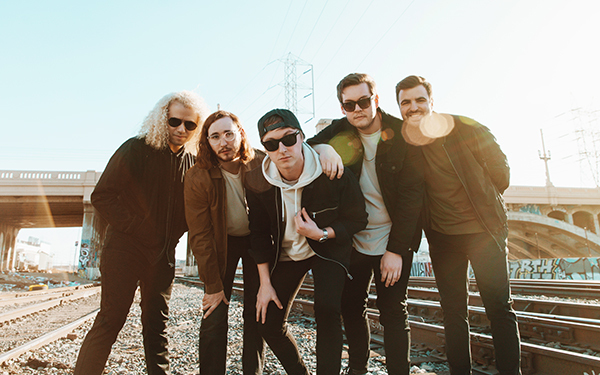 Pop punk heroes State Champs have premiered new song, "Mine Is Gold", taken from the band's recently announced new record "Living Proof", which will be released on June 15th on Pure Noise Records. Pre-order is currently available for the upcoming album via the label's site. The song is about being bullied and doubted - singer Derek DiScanio explains, "If you’ve ever been betrayed, bullied, or doubted by someone close to you, “Mine Is Gold” is for you. This one hits home for us in a range of ways and gives us a sense of pride after the musical risk we took on the chorus of this song especially. We took a lot of influence from bands like Cartel and Saves The Day on this song and the way they can shape dynamics and changes in energy."